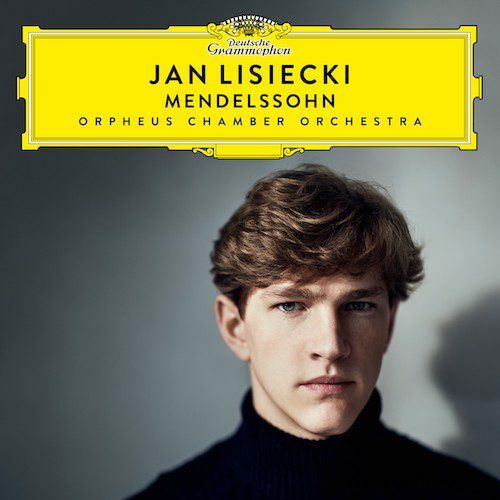 01 February 2019 (Toronto, ON) - For his latest Deutsche Grammophon album, Mendelssohn, Canadian pianist Jan Lisiecki explores a pair of early Romantic masterpieces: Mendelssohn’s Piano Concertos in G minor and D minor, in which he is accompanied by the internationally acclaimed Orpheus Chamber Orchestra of New York. He complements the two concertos with a selection of some of Mendelssohn’s most brilliant pieces for solo piano: the Variations sérieuses, the Rondo capriccioso and the “Venetian Boat Song” from the Songs without Words. Mendelssohn is out today; listen HERE. Lisiecki sees the Second Piano Concerto in D minor, which Mendelssohn wrote immediately after his honeymoon in 1837, as providing a certain contrast with the First. “The Second Concerto has darker and deeper emotions,” he says. “It’s less secure, it’s uncertain, it’s not so confident, it’s searching.” He adds that it reminds him in some ways of Schumann, with its “rapid emotional changes and unprepared character swings”. He found it the more challenging of the two to record, not only because of its shifting moods, but also because of the intricacies of its orchestral accompaniment – as he points out, compared to the First Concerto, in the Second there is “more dialogue between the piano and the individual instruments”. Lisiecki is opposed to the idea of albums that are essentially “collages” of the works in his repertoire, preferring to bring together works that complement one another programmatically or in terms of their character. On this occasion he has chosen to complement the two concertos with three of Mendelssohn’s finest works for the solo instrument: the Variations sérieuses, the Rondo capriccioso and the “Venetian Boat Song” (Venetianisches Gondellied) from the Lieder ohne Worte. All three are works that mean a great deal to Lisiecki, and he was delighted to be able to include them on this album and give listeners further insight into the composer’s dazzling keyboard writing.